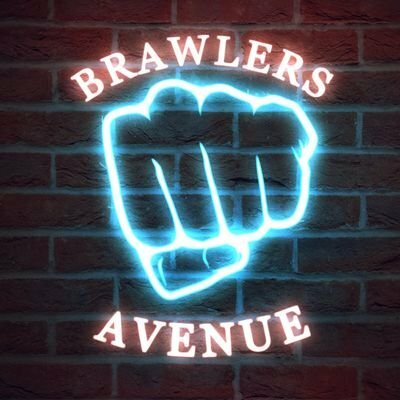 Brawlers Avenue, the ultimate Beat 'em Up and Hack 'n' Slash Encyclopedia. My goal is to show what made the two genres so awesome in the golden age of the late 80s to late 90s with reviews, let's play commentary, podcasts and more! There's also a special place in our hearts for fighting games, ranging from 1 on 1 to party fighters so there's always room for coverage on those as well! 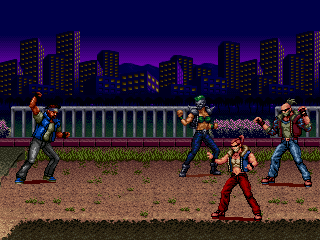 One of the most popular beat em ups out there is Streets of Rage. With it's amazing gameplay, music and visual design it has manage to capture a niche but very dedicated community of fans proving it deserves it's place in the spotlight once again. 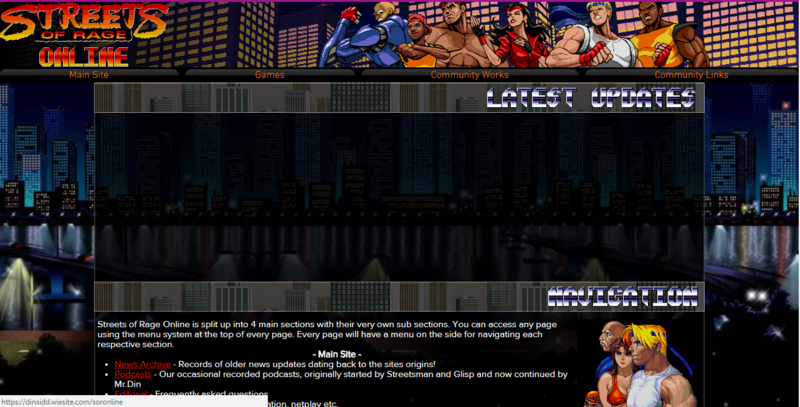 Streets of Rage Online was originally built to provide the community with all info on the original games back in 2001. Sadly in 2009 the site was taken down with the original creator nowhere to be found. Thankfully it was revived that same year under a new banner, providing even more info on the series as over the years we would see more ports, a rare Japan only mobile game as well as an awesome fan made remake along with a number of projects based on the original series. The site once again had a transfer of hands in 2016 and is currently being rebuilt from the ground up. My mission is to bring this site back to former glory and provide even more content related to the series and it's community! 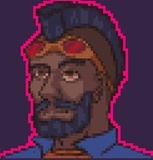 Deadly Metropolis is my current indie brawler in progress. My goal is to create a series of metroidvania styled beat em ups that tell the tale of the tribe of Din also known as D-Tag. The first entry in the series is the prologue story: Deadly Metropolis Zero which follows the story of D-Tag, a legendary brawler who's memory is lost due to a devastating loss to one of the Solid Gold Cobras' prized fighters. A while back I opened a gofundme account to support the project, at the time we only reached close to $800 a small percentage of the overall goal. Ultimately I've decided to close the GoFundMe account as in hindsight it wasn't the best method for funding a video game project. My goal now is to use patreon as a means to help fund my endeavors with the project as I continue to work on the game as well as the comic book series. Creating the best beat em up content I can offer for the community (that's you!) can be quite time consuming and even expensive at times. With your help I can lower the costs and gather the resources needed to keep the website and it's ever growing community going. While it's not required for me to push on, any help given is greatly appreciated. Many of my goals and projects are ambitious ventures and I want to give you the best content possible! Part of the quest to explore the Brawler genre(s) is to also to collect the many things related to them. Outside of supplying entertainment and information on my favorite genre(s) I would also love to do giveaways, contests, attend events and even create goodies for you to collect as well. We've already given away a copy of "Project x Zone 2" to a lucky viewer of our twitch stream and we'd love to continue the trend as much as possible. Supporters will also get early access to my development videos for projects like Deadly Metropolis and Project Neo as well as be the first to gain access to my works which include pixel art, drawings, story drafts and anything I come up with in the future. A special discord rank will be given as well that will provide you with access to podcast Q&A and any exclusive content in post there. If we can reach 100 patrons, We'll be able to increase our monthly raffles and seek out more awesome prizes!